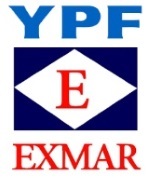 édité le 07/02/2019 - Plus de news de "EXMAR" - Voir la fiche entreprise de "EXMAR"
EXMAR is pleased to announce that EXMAR’s Floating Liquefaction Unit (FLNG), to be renamed Tango FLNG, has berthed in Bahia Blanca, Argentina where it will stay and produce LNG for export for YPF over a ten-year period. Tango FLNG is the first project using EXMAR’s FLNG technology and will soon become the first FLNG to produce LNG in the Americas. This will turn Argentina into an LNG exporter. Tango FLNG is designed to operate with a liquefaction capacity of approximately 0.5 million tons of LNG per year and will play a key role in YPF’s endeavours to export Vaca Muerta gas reserves to international markets. EXMAR (ERB: EXM) is a provider of floating solutions for the operation, transportation and transformation of gas. EXMAR’s mission is to serve customers with innovations in the field of offshore extraction, transformation, production, storage and transportation by sea of liquefied natural gases, petrochemical gases and liquid hydrocarbons. EXMAR creates economically viable and sustainable energy value chains in long-term alliances with first class business partners. EXMAR designs, builds, certifies, owns, leases and operates specialized, floating maritime infrastructure for this purpose as well as aiming for the highest standards in performing commercial, technical, quality assurance and administrative management for the entire maritime energy industry. EXMAR has been a pioneer in introducing innovations along the entire LNG and LPG value chain for offshore and inshore ship-to-ship transfers, regasification and floating liquefaction (FLNG) projects around the world. EXMAR is one of the world’s largest operator of floating regasification units, with 24/7 management of 11 FSRUs. YPF (BCBA: YPFD) is the main energy company in Argentina and leader in the production of non-conventional resources. It is an integrated energy company that generates a varied offer: natural gas, electricity, fuels, petrochemical inputs, lubricants and agricultural products, among others. It has more than 1500 service stations that allow it to supply all points of the country. Voir la fiche entreprise de "EXMAR"
Les dernières news de "EXMAR"